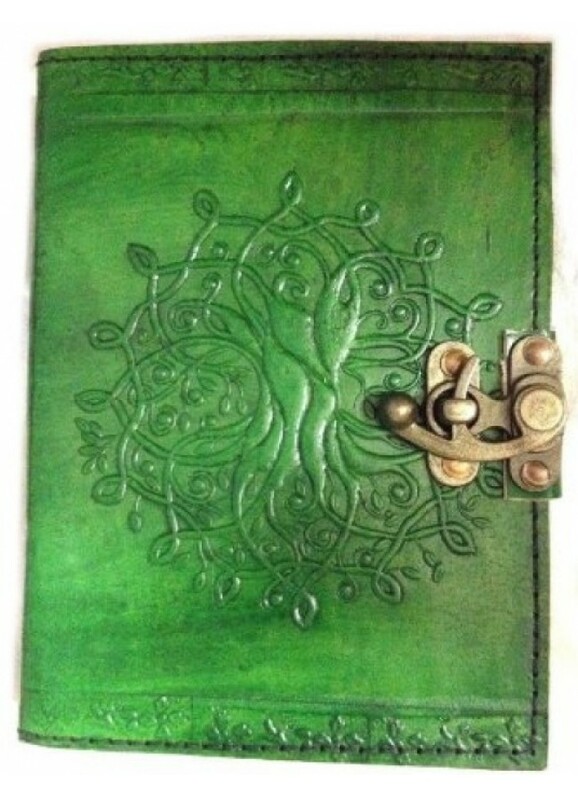 Beautifully hand tooled green leather blank journal has an intricately embossed Tree of Life design and brass latch. 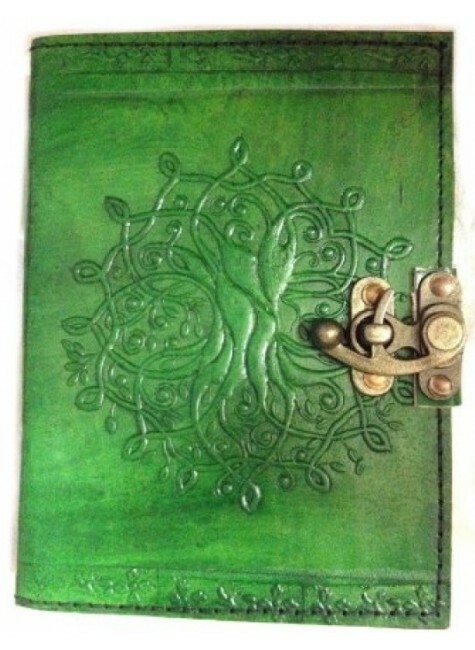 Hand tooled leather book cover has an embossed Tree of Life on the front cover with brass latch. Contains about 168 pages of hand made unlined paper. Book is 5 x 7 inches. Back has hand tooled designs that vary. Hand made of goat leather with brass-plated latches with a lovely ancient patina over time. Item Number: AA-BBBL637 | Approximate Size (Inches): 5.00 wide x 1.00 deep x 7.00 high | Approximate Shipping Weight: 1.00 lbs.